Frate Sole shines in this recipe that will win rave reviews. Rituals and symbols can unite our hearts, our minds, even our souls. In a mash up of our senses, they can vanquish our fears, fortify our ambitions, and even purify our intentions. The choir of voices, the bellowing of organ pipes and the shouts of horns rise into the heights of the cathedral dome, lifting with them thick wafts of incense. With a cruet of balsam and the breath of a bishop, the oil of olive becomes sacred Chrism. The oil for his parish, St. Anthony’s in the “Pocket” neighborhood of Sacramento, is secured in a small cardboard box. All of the other priests in the diocese juggle their boxes as they head out the door to churches from the capital city to the Oregon border. 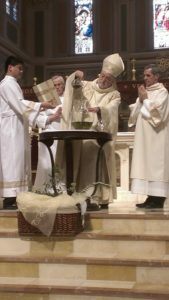 The Chrism Mass is an annual event at the Cathedral of the Blessed Sacrament. It is one week to the day before the beginning of Triduum, the three-day liturgy that precedes Easter. The Triduum begins on Maundy Thursday. “Maundy” is derived from the Latin mandatum and Maundy Thursday commemorates the new commandment issued by Jesus Christ to love one another. In the human experience, rituals and symbols are used for good and evil. And with every breath we choose love or hate. Love can be harder than it sounds – a challenge never so starkly confronted as in those three days between the Last Supper and the First Easter. From the work of human hands – many of them yours – in the orchard at Frate Sole, we gathered the olives that became the oil that filled the vases, that were heralded with song, purified with incense, blessed by the priestly, and breathed upon by the bishop. Created through ritual, the sacred chrism is a symbol for the Divine’s desire for us to unite heart, mind and soul in common – yet extraordinary – purpose. Our power to love needs all the help it can get. Who doesn’t like bountiful harvests! But they also are a lot of work – especially as we strive to pick olives at just the right time to make the most flavorful oil. Olive trees are alternative bearing. Left to themselves, one year the trees will produce a lot of olives, and the next year, not so much. That is because olives grow on “one year old” wood. If trees are producing lots of olives, very little energy grows into growing new wood, so the following year there is not much “one-year-old wood” to host that year’s olives. Boom and bust production complicates efforts to provide customers with a steady supply of high quality olive oil. It is difficult to maintain customer loyalty when you cannot hold up your end of the bargain. In addition, light-loaded trees ripen quickly, sometimes too quickly. And heavy-loaded trees ripen slowly, sometimes as late as Christmas. To moderate production, we prune every tree every year. That too is a lot of work. But the return on our investment is a steady growth in overall production, and more moderate variation between big harvests and “off” years. Each year about this time, Carly’s job is to survey the trees. Row by row and tree by tree, Carly categorizes a tree as “heavy,” “medium” or “light.” Our goal is lots of mediums. Because every year the trees get a little bigger, medium production indicates steady and even growth — and harvests that are both bountiful and manageable. Before blossom in late April, we pruned every tree in the orchard. We then disced in the cover crop and regraded the orchard for the first time since it was planted. That made for more mechanical weed control through the summer, but we were glad to improve the drainage and make tractoring easier. A s the olives ripened, we went to work harvesting with last year’s innovative catcher, and a new improved version built in the workshop in late summer. Over six harvests, we captured nearly 20,000 pounds of olives pretty darn close to their perfect ripeness. One of the harvests included volunteers for a Foods Resource Bank fund-raiser at Davis Community Church. That same harvest also involved members of the St. James Newman Club, which harvested olives destined to be chrism oil for the Sacramento Diocese. The 2015 harvest at Frate Sole started in mid-October and ran for eight weeks. The crop was abundant and the weather was cooperative for picking — dry and unseasonably warm! The first real rain of the season came on the 1st day of November, and signaled the end of a long irrigation season. It was the first year we deployed an olive catcher designed and built by Cal Poly ag-engineering student Alex Paris. The broad net fits under each tree. We use electric rakes to loosen the olives, which roll to a bin secured under the center of the net. Along with the hand-picking, these gentle methods ensure quality, unblemished fruit. 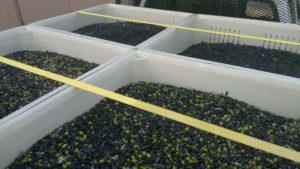 Over the eight weeks we harvested nearly 30,000 pounds of olives. The blended oil produced a fruity and complex oil that earned top honors at the Yolo County Fair for robust oil and the top oil produced in Yolo County. The Monarchs have been getting more than their usual tabloid press these days. Their numbers are down, at least among the butterfly variety. As is often the case with troubled species, biologists are attributing the decline to a loss of habitat. In particular, Monarch butterflies require milkweed as a host. They lay their eggs on the milkweed, and the small caterpillars become big caterpillars by chewing on milkweed leaves. The mature butterflies also like the nectar in the flowers, or at least that is what we have observed. Growing olives organically sounds easy enough. But truth be told, controlling weeds with mowing and hoeing is a lot harder than with a spray rig, especially as the summer grows long and the days hot. With drip irrigation, weeds grow in the wet spots. Many of the weeds are more than a nuisance – google “bristly oxtongue” to read about the worst – and all of them compete with the trees for water and nutrients. Most organic orchardists come to accept that their rows will not have the “clean floor” of their chemical-using neighbors. But the upside is knowing that you didn’t spray acres upon acres of herbicide on everything growing and moving, and eating what is growing. Then you start noticing Monarchs in August. Monarchs? Occasionally. August? Every summer. But never before at the same time. Then you find milkweed growing between the rows, where just enough water is dripping off the hose to keep it alive. And then the caterpillars. Most of the benefits of organic production come from reducing the use of chemicals in the environment and on the food we eat. But there are other benefits, such as making just enough room for the rest of ecosystem to take hold. You won’t find that in a high density olive orchard with a clean floor and a scissored canopy, ready to be harvested by a machine that looks like something out of a Transformer movie. There is extra virgin olive oil – and thank goodness for the new standards to ensure quality. 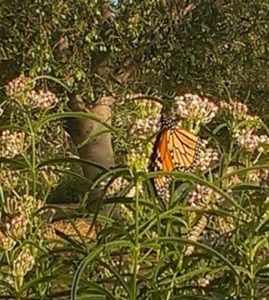 And then there is extra virgin olive oil good enough for Monarchs. You choose. Clocks should not be turned forward in spring. They should be turned back, and not just once, but once a day. This spring is dominated by drought. But Frate Sole received three times the rain it did last year, now just a couple of inches shy of the season average. The warm drenching rains of November and December cut a narrow path across Northern California, right over Yolo County. The pond was filled and still floats ducks. And the grass grew tall and needs mowing and mowing and mowing before the irrigation hose can be uncoiled and irrigation started early because of the dry January, February and March. But spring also is a surprise a moment: The showy white popcorn flowers where the puddles were the deepest. Yellow, white and crimson clover. Tiny purple somethings and clusters of yellow mustard. A miniature forest of bell beans – with their tassels of white and purple buds – grow straight and tall, planted the night the orange and black won the World Series to fix nitrogen for the next season. They all come and go before the pale yellow fireworks of the olive blossoms. As the orchard and the oaks get bigger with each spring, a new bird species is lured to the farm. Western Kingbirds, red-headed finches and robins act like they have always summered here. The year’s new immigrant is the cedar waxwing, an astonishingly beautiful bird with their pale yellow belly, tan crest and black bandit eye mask.But taking a closer look, the bees are working hard to gather the nectar and spread the pollen. And all that nest building is more strenuous than anything a farmer will ever do on a tractor. Spring is hard work — but the office has great views. Harvests are two parts labor and one part love. We are always eager to get them started and eager to get them finished. We know that to produce the best oil possible, we must pick every olive at its perfect ripeness. 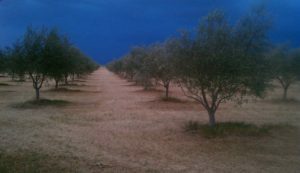 But we also know that’s impossible — with tons of olives to be picked and changing weather patterns making it hard to anticipate when that ripeness metric will be met. Olives that are picked too early can be too sharp for some tastes. Olives picked too late are too buttery for connoisseurs. We end up doing the best we can, as olive growers have done for more than 5,000 years. As with last year, the 2014 harvest started early and finished early. We are getting better at managing the trees so they don’t over-produce one year and under-produce the next. When trees are overloaded, the olives ripen later, so moderate yields can mean earlier harvests. In past years, with smaller yields, we have harvested into November, even December. But the drought also delivered an early spring. Time will tell if climate change will mean October olive harvests are the new normal. Drought or not, we also dance for – and around – rain at harvest time. Rain is good for the olives and rinses the trees. But we prefer it two or three days before the harvest. With harvest a wrap, we have removed all limitations on preferred timing. Finally, it is probably a good thing the harvest was early this year. Demand for Frate Sole is growing, and we were down to our last few bottles when we fetched the barrels of Olio Nouvo from the mill. Harvest is getting close. We know because the branches are weeping, burdened by the swollen olives filled with oil. After Labor Day, we prepare for harvest – ensuring the olives get enough water during the warm afternoons, fixing equipment, and clearing the last of the summer weeds. This season, as we go about the routine, we are preoccupied by the extraordinary – the startling reality that two of our friends will not be joining us in the orchard as the olives turn purple. Both of these harvesters were women. Both left this world too soon. Both died from cancer. But overwhelmingly important, both lived amazingly joyful, productive lives in purpose of the planet. Camille was briefly a neighbor, but instantly and eternally a friend. She already had a doctorate when she took a room at a neighboring farm, and she was working on a law degree at UC Davis. As a scientist she understood plant genetics and as an attorney she wanted to make sure humanity managed its increasing knowledge in a respectful and beneficial way. That is way too deep for mere farmers, so mostly our dogs played together, we encouraged her on the difficult and challenging path, and she graciously shared the occasional family meal – and harvests. Darcy was a friend from college days. Her life, her spirit, is one of those deep roots that enables families, friends and communities to grow strong, to support each other, to be resilient and even renewed. Darcy was a second generation environmentalist – a doer, who taught people to conserve natural resources and restored critical habitats. She also was an advocate, but mostly through her actions – in love with her family and friends and the world she graced. If you have been to a Frate Sole harvest, there is a decent chance that you shared a tree with Darcy or Camille, an even better chance that you shared a laugh in the barn at lunch, or a smile as the sun sank low. Harvest is traditionally a time to take stock. Before the harvest, farmers carefully estimate their yields. Much of that preparation is pragmatic – stuff that must be done to manage picking and transport, bins of fruit and barrels of oil. 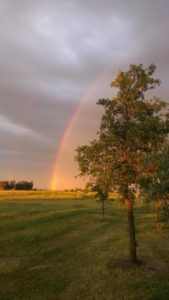 But some of the preparation has psychological value — the satisfaction of finishing a growing season and barning the tractors, the anticipation of the rain, and the perennial hope of another spring. For this year’s planning ritual we added a new column to the spreadsheet, titled Gratitude. We have wept like the branches for Camille and Darcy. And as with the branches, our lives are abundant because of them. With the harvest we carry them forward – love, joy, purpose – all weighing heavy on the scale at the mill. You meet nature half way, wherever that is. Or whenever. The 2013 harvest was early, so we met Mother Nature on the warm afternoons of October. The olives also were ripening quickly, and so on that first harvest we focused on individual trees that had to be picked right away. We did the same the next week, and the next. Each week we seemed to pick all that had to be picked that day to catch the olives at their optimum ripeness. We did not set records for volume, but we were in sync with the orchard to a degree that cannot be accounted for by planning alone. The days got shorter, but harvesting hours grew longer. The last three days we saw the sun set from the tops of ladders. We had senior friends who came every day, old and new friends who generously gave a day or even two. One immeasurable reward is the reaction of a child – there is always one – who looks into the large bins on the back of the truck and marvels at the mounds of deep purple drupes, as surprised as if magic had been deployed. One at a time, millions in the end. The yield – pounds of olives per gallons of oil – was exceptional. Skilled and talented tasters will not pass judgment until the oil has “rested,” which it is doing in five large barrels. We should have a flavor report before New Year. Frate Sole has never before completed a harvest prior to Thanksgiving, even when the harvests were in the hundreds of pounds, rather than the thousands. This is not about olive oil..
or even olive trees. Except that ecosystems are the context for agriculture, and given modern agriculture’s obsession with uniformity and predictability, the strange interactions between wild and the “cultured” are instructive, even entertaining. What does it mean when an old hen starts to crow like a rooster? The wife bought these three hens about two years ago from a hippie named Happy who was sad to part with part of her brood. But she was over her limit within the city limits and didn’t want to question authority that much. The hens have been obedient and productive, although we are getting fewer and fewer eggs. About two weeks ago one of them started making a strange noise. At first we thought a pheasant was choking – because it didn’t really sound like a rooster. Then we thought maybe one of the roosters we ditched back in the pond two years back had finally found the house again. Then we saw the hen crow … like Foghorn Leghorn. The Gang of Eight on Capitol Hill remind us that farms are full of migrants. The ducks and geese have gone north for the summer. But the barn swallows, western kingbirds and the Swainson hawks have all settled back in for the summer. What did they call barn swallows before there were barns? At the risk of suggesting man has done something good for “nature,” barns are indeed a great place for the dashing birds with iridescent orange and purple undersides to swoop and snack, and nest. They will never go hungry. The kingbirds – also flycatchers with beautiful yellow-green bellies – roost in the elm tree outside our bedroom window. Like good farmhands, they start to warble and chortle 30 minutes before first light; they are our summer alarm clock. One afternoon in April, while driving tractor, I saw the Swainson hawks do the deed. Hitched together high in the sky, they spiraled slowly, gracefully, dangerously toward the ground. They were lower than the roof of the barn when they separated and sailed back into the sky. For half an hour afterward, they gently soared over the same spot, maybe 200 feet up. Now, the Swainson hawks – protected under the state Endangered Species Act – are spending a lot of time perched in a dead sycamore tree on the driveway. I would cut down the snag, but figure I would be breaking the law. In addition to the Platanus racemosa, we lost a ewe and a weathered goat late this spring. Not sure how they know, but the orphaned lamb spends an inordinate amount of time with the late goat’s brother. Living and dying. Coming and going. Wild and tamed. Most of farming is fixing stuff. That and complaining about the weather. I am going to start with the weather. In December we received half a winter’s worth of rain and by New Year’s we were pumping water from one pond to the next to protect the orchard from what Old Timer’s in the Sacramento Valley call The Big One. January, February and March – all tolled – were as dry as a typical April. April feels like May, and the trees are as thirsty as June. No big deal – we do the spring work a month early. When you grow organic, spring starts with a lot of mowing. My chemically-addicted neighbors sprayed anything that was green in February, but we had actually planted some of that clover in the orchard, hoping to hijack nitrogen from the atmosphere to the soilsphere. And so now we have to mow. I mow this way and that way. This way again and that way again. The whole idea of two tractors, my son rationalized, was to accelerate this stage of spring. But with the son in college, it is just me. I go this way with one of the tractors, and that way with the other tractor, just to keep the wife from wondering why we have two tractors and one farmer. By Saturday afternoon of the second weekend, the grasses and clover are tamed. The olive trees look like soldiers, standing in their rows with a uniform floor of drying straw at their feet. I start to unfurl the drip hose – we are so proud of our drip hose, our patriotic contribution to water conservation. Miles and miles of drip hose, sometimes tangled, sometimes damaged by unpatriotic varmints. Late into the evening and back before the sunrise, the unfurling continues, and by Sunday noon the hose is straight and patched, ready for a summer of service. I throw the switch on the new pump and head back to the orchard to fix the problems that only 50 psi can reveal. Nothing. Are we in Oklahoma? I head back to the pump to discover that something with very small teeth – the goats breathe a sigh of relief – has chewed through some of the wires. Feeling like a NASA engineer proud of his redundancies, I open the valves to supply the orchard with the old well. “Did that work,” I yell to the wife. “I would say so,” she says, pointing to the geyser in Row 19. Somehow a major pipe connection has fractured in a most inopportune spot that will be extraordinarily difficult to repair. Being solely responsible for design, installation and maintenance, I look for a coyote to blame. I figure that full-time farmers are much better at all of this. But having outlived a dog and two cranky cats out here, I have come to understand that most of farming is fixing stuff, and that’s why growers inherit tools if not land. I figured I would start with the pump and I track down my well man. “How’s the fishing,” I ask. “Not very good,” he replies, from a boat drifting in the Delta. “It’s not that bad,” he replies, and then dispenses just enough advice to keep me from electrocuting myself. So I grab my father’s wire cutters, and the rest of the supplies and surgically splice four wires and secure them from further taste testing. I also head to the hardware store – where hoards of happy couples are picking out lush vegetable starts – and I solemnly pick up $48 worth specialty repair parts. I excavate, bale, plot, practice, cut, glue assemble – plot and glue some more. My hands and arms are covered with mud and dried PVC glue. So I open a beer and wait for the glue to set. First came the yipping. It sounds romantic and all, particularly when the moon is full and the chorus sounds like it is a couple of miles toward the river. It wasn’t even dramatically bad when it became clear that The Guess Who were jamming in the orchard. Until, that is, the coyotes discoverd that the way to whet their whistle was by chewing — and chewing and chewing — on the irrigation hose. One Saturday the black flexible plastic pipe in a dozen rows was pulled into the middle and punctured time and again by sharp little pup teeth — with the occassional pipe severing gnawing from mom and dad. Where’s the Roadrunner when you need him? So after fixing dozens of holes in a dozen rows, the horse trough from the animal barn was pulled into the orchard and filled with water. If they need a drink, we will open the bar. All of this is just a set up for Sunday morning. A careful inspection of the orchard found that all of the hose was safe and sound — except for the hose right next to the horse trough, which was pulled into mid-row, but otherwise undamaged. Each spring, when the ground dries out enough to support a tractor without damaging the soil, we have a little reclamation to do. This year, spring rains sent the grasses, clover and mustard soaring. So the job was daunting. I am keenly aware that this new growth is great habitat for all kind of critters. So I move the tractor slowly up and down the rows to let small rabbits and snakes get out of the way — frequently braking when I see the grass wiggling in front of the tractor. So imagine my surprise when I returned to the barn, and discovered a completely intact bird’s nest sitting on the front of the tractor. The nest had been tied by an industrious redwinged blackbird to three tall stalks of a mustard plant, woven into a beautiful cradle, and filled with three small blue eggs. I was filled with remorse for the unintended “taking,” but marveled at its elegance, and consoled by the benefits of the acres that we have dedicated to habitat — where tractors don’t tread in spring. Long before Mary Magdalene anointed Christ’s feet with oil, long before blessed oil was used in Christian baptisms and other sacraments, olive oil has been an ingredient in ritual – a symbol of the sacred. The “olive oil culture” dates back at least 5,000 years before Christ challenged the Pharisees. And for many hundreds of years before then, olives were embedded in daily life. Light, sustenance, healing, ritual. And so the story continues. On Thursday, March 29, 2012 at the Cathedral of the Blessed Sacrament in downtown Sacramento, a special liturgy was celebrated to bless the oil that will be used during the next year to anoint babies and catechums, as well as the sick and dying. To honor and celebrate, essentially, the incoming and the outgoing, the beginning and the end, the alpha and omega. This year, the Diocese of Sacramento will be using olive oil produced by Yolo County producers, including Frate Sole. This year, the oil will come from olives grown by members of the faithful and harvested with care from within the diocese. We should give to the Lord – and to each other – the very best: our best thoughts, our best words, our best deeds, our best oil. The thoughtful and commited folks involved with the Foods Resource Bank (www.foodsresourcebank.org) stopped by the farm Saturday morning as part of a west coast tour. The group is based out of the Midwest, but it is really a global network of farmers, faith leaders and community change agents. In the United States, church and community leaders work with growers through a wide variety of projects to grow a crop or create a food product, which is then sold. The collaborative then decides which of the scores of projects in developing nations should receive the profits as a contribution to finance those efforts. Both the state-side projects and those in emerging economies are as diverse as a good summer garden, tailored to and by the climate, culture, competencies and creativity of those involved. I thought these big growers from Indiana, Illinois and Iowa were going to think our small olive orchard was just a novelty. But these guys — who farm hundreds of acres of corn and soybeans — were fascinated by the idea of a “completely verticle” micro operation. Some of them had never seen an olive tree, and were astonished at the diversity of agriculture they had seen in their visit to the Central Valley. In turn, I was equally impressed by their deep concern over the best way to feed a growing global population, and their common belief that their way wasn’t the only way. No one thought the best answer was to export a large scale highly mechanized production model as the Agri-CULTURE of the future. And these were all guys with combines as big as the garage. Rather, they were thoughtful and committed to working with their communities to help finance a network of learning and understanding, in which all involved benefit from the experience. “FRB is the most meaningful thing I have ever done,” one of them said, his big calloused hand gently gripping mine as he said goodbye. Compassion can be a powerful force, if given the chance. One intriguing part of the FRB model is that no one can say they don’t have what it takes to help out, it just takes a little thought and commitment. The dark clouds, the first showers, the steady drizzle were better than nothing. But the downpour on Friday night was a rush, a release, a gift so grand and so wet that it truly felt heaven-sent. The loud drumming on the metal roofs of the animal barn and the woodshop on either side of the house echoed sterographically through the orchard. The waves of rain drops onto the grass sent off a muffled patter. And the rain hitting the naked branches of the elms, oaks and sycamores yielded a sharp but dull beat. The parched ground welcomed every drop. I thought I heard slurping. This symphony, I decided, was the sound of an answered prayer. In November we were waiting for the olives to ripen so we could begin the harvest. The trees that were heavy with fruit looked pregnant, happy but burdened. Eventually green became wheat became purple — and the harvest yielded a golden offspring. The branches are now silvery. Freed from the fruit, the limbs have rebounded skyward, showing the shiny undersides of the leaves — a natural expression of the season. While the orchard was blessed with early rains, the second half of November and all of December have been extraordinarily dry. First, we saw the blue skies as an opportunity. To naturally capture nitrogen in the soil, we planted bell beans where we want to expand the orchard and plant vineyard. Still, the sun shone. So we disced the orchard, and planted clover to fix more nitrogen and crowd out the mid-summer weeds. Then we mulched some of the younger trees with woodchips and we fixed some fence posts. Still, the doppler is sans green. The cover crop seeds have not germinated and the pasture grass is starting to wilt. The annual chore of coiling the irrigation hose — accomplished in mid-Advent — appears to have been premature. As 2011 comes to a close, the winter we need is not yet on the horizon. Advent has ended, but we are still anxious. Dec. 3: Will it rain? Will we freeze? Will the hand-to-olive ratio be adequate? No. No. Yes. The second and final harvest of the year was a more intimate gathering, but just as jolly and productive as the first. We were blessed with companionship and new friends, including Pepe from Sicily, as well as just enough sunshine to get the job done. The last tree was picked as twilight took command of the orchard. A bottle (or two) of red wine in the barn made for a perfect benediction to the rite of autumn. Nov. 20: Two weeks ago, we were looking at green olives, wondering if they would every turn purple. the three days leading into our designated harvest Saturday — and on the Saturday itself. But trust we did. We trusted Brother Sun to ripen the fruit and we trusted NOAA when the computers called for a 25 percent chance of sunshine. The first harvest for 2011 turned out to be a classic: good weather, great friends and a record yield for a single day of volunteer picking. We estimate another 3,000 pounds of olives are yet to be picked. Let us know if you want to get in on the fun. We will o post dates on the Frate Sole Facebook wall. A fruit orchard grows more than fruit. Trees are habitat. And people are wild creatures, too. W hen we planted our first olives in 1999, we figured the worst thing that could happen is we would be bad farmers living in a olive orchard. Our wildest dream was we would produce a product recognized among our peers for its quality, coveted by our customers for its taste… and that the orchard would be a place where birds and snakes and people would love to be. Well, we are right on track on the quality oil thing (still learning, but that’s the fun part). We have so many birds that we have to remind ourselves that we learned how to share in kindergarten. And the snakes were no slouches in the reproduction category this wet year. This year we also had the blessing to host a wedding — and potluck feast and square dance and brew boasting and rock and roll blitz in the barn until 1 a.m. — for two dear friends and their closest 130 humans. 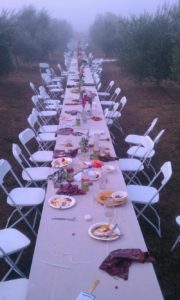 It was rewarding to see everyone enjoy the orchard in late afternoon, early evening and into the moon-filled night. White lights were laced through the trees. Candle lanterns hung from the peach and apple trees. Solar lamps next to hay bales reminded people where the ground was. The next morning a romantic fog hugged the tree tops — and even the mess left behind was a testament to a once-in-a- lifetime event. It isn’t until this time of year that we really get a sense of what kind of harvest we will have. The trees always have lots of blossoms, but most of them will not be perfected into fruit. And olives in their early stages are very small and the same color as the leaves. But the fruit is now the size of small marbles, and getting bigger by the day. This harvest won’t be as large as last year’s, but there are still plenty of fruit on the trees. A good day weeding in the orchard (and fixing pipe chewed on by those wascally wabbits!) is enough to get us all excited about the harvest to come. That was one long winter, and who stole spring? The bountiful rains that filled mountain reservoirs this last winter, also filled the pond and gave the orchard a good long, long drink. Field work started late, and a cool spring gave us plenty of time to mow the orchard grass, finish pruning trees and getting the irrigation set up. The trees blossomed in the latter half of May, at least 10 days later than a “typical” year. The calendar aside, the trees seemed to love the extra moisture, and we loved the extra dose of green. We completed harvest on December 13. It was a dance to remember — between storms, hoping for a couple of sunny days and (don’t repeat this) a north wind to dry out the mud. The last day of picking was huge, requiring three trips with a loaded pickup and trailer to the mill. It took most of the rest of the month to clean up, return borrowed equipment and heal our sore muscles. By Christmas we had transferred oil into steel tanks and begin to do a little early bottling for those who either can’t wait or love the sharpness of new oil. … And then they are ripe. Harvest days have supplanted — or at least supplemented — Christmas around here in terms of celebrations. People come together, enjoy the orchard, the sun, the fellowship, the salami. But even those who are generous enough to help pick, don’t know the magic of the miller. It is an ancient art with a modern twist. Lewis Johnson, our miller at Butte View Olive Oil Mill in Palermo (near Oroville, not in Sicily), is the best of old and new worlds. He knows his switches and centrifuges, but he also knows my olives from his. It is not a lost art — olive milling — it is an evolving art. Now you need to understand three-phase electricity and air pollution districts standards, as well as polyphenols. Art none the less, motivated by a desire to produce, to create, to enjoy. Any parent who has ever waited for a child to be born knows how we feel this time of year. About mid-September the trees even start to look pregnant, The branches droop as the olives plump up and convert sugar to oil. The sagging branches reveal the silver underside of the leaves, making healthy trees look stressed, the way a woman sighs frequently as the due date approaches. A seasonal worry sets in — over a dry north wind that can make the olives shrivel or the flocks of hungry black birds that come when the tomato, corn, wheat and safflower fields have all been harvested and disced under. Some rain would be nice — if it isn’t too much and the mud can dry before harvesters arrive. We try to keep our concern from escalating into anxiety. We remember those days — when we needed a stethoscope to listen to Sam and Carly — and how the expectation made the event all the sweeter. This year, virtually all crops are two to three weeks behind schedule. And the same is true for our olives — more green that should be purple, given the calendar. A real spring (see below) followed by a cool summer means we will begetting closer to winter before harvest is behind us. This year’s harvest is feeling like that baby who has blown right passed the due date with little sign of wanting to leave the womb. Are we extra virgin? Is anyone? The folks at UC Davis released a study this week reporting that most imported (read Mediterranean) olive oil was not extra or even virgin — even if it said so on the label. That is, the oil either had defects (like it was rancid) or even more commonly, it was cut with mineral or nut oils. The best way to make sure you get the real thing is to know your supplier. But you don’t have to take our word for it. We earned gold medals this year from the Yolo County and the Los Angeles County International Olive Oil competitions. Both events require chemical analysis to independently document our extra virginness — er, well — that we are extra virgin. The gold medals mean that among the “extra virgins” we have outstanding characteristics, like fruitiness, grassiness, freshness beyond reasonable expectations. 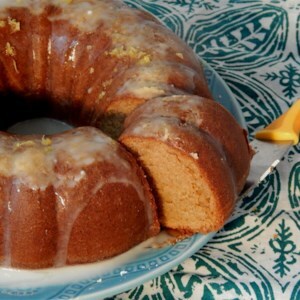 Beyond flavor, it is the “extra virgin” in olive oil that makes it so good for your health. Don’t be tempted by absurdly low prices or oils from romantic sounding locations. Get the real thing from real people. Trust your brother. It makes sense that if you endure an honest to goodness winter, you deserve an honest to goodness spring. Typically, spring is 10 seconds long, that brief interlude between cold winter storms and the first 90 degree day accompanied by a strong north wind. We usually have to work fast during that 10 seconds, to mow weeds, unfurl drip irrigation hoses and check for leaks and clogged emitters. This year, spring rains gave us plenty of time to make the transition, and the trees really enjoyed the April — even May — showers. We also put in some extra tractor time this spring. In the fall, we planted bell beans in the orchard to naturally capture nitrogen from the air and fix it into the soil. Blossom also was about two weeks late this year because of the cool weather, but it was still a great show of pale fluorescents. It will be another couple of weeks before we have a good sense how many of those flowers have successfully made the transformation to a baby olive. e feet tall, and hordes of beautiful bees were attracted to the white and purple flowers. The plants were turned under with a disc and harrow, and now that nitrogen is available for the trees. Harvest is truly a blessing, and this year’s fruit looks spectacular. The real bounty, however, is the fellowship of friends and family who visit and take part in this traditional event – a true Thanksgiving. The volume in 2009 was less than half the harvest in November 2008. 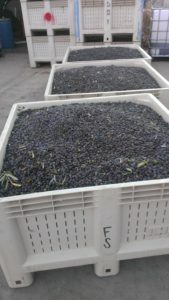 But the quality of fruit was terrific, and the smaller volume allowed us to pay special attention to maturity and quality.